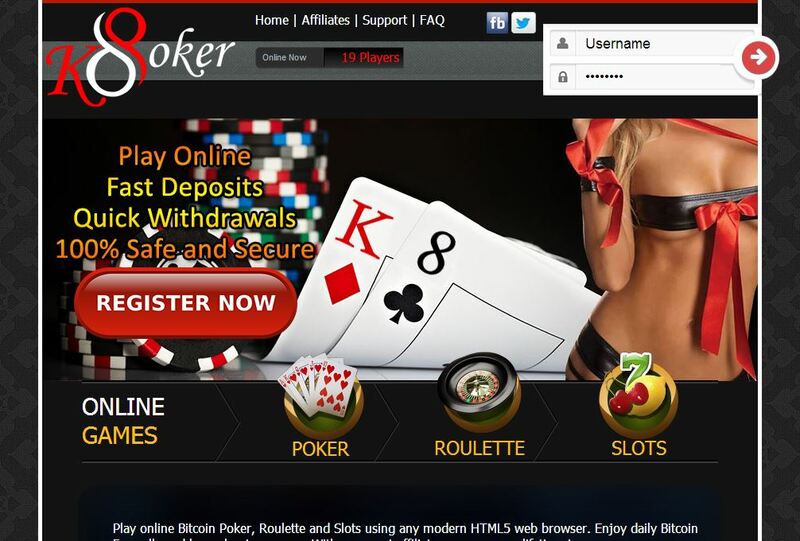 K8 Poker is among the newest Bitcoin poker rooms to operate online. With only months since it started its operations, this Bitcoin online gambling site, which also hosts Bitcoin roulette and slots, is already showing great potential. Therefore, poker enthusiasts who are eager to get their hands on the massive pots that await them should definitely give this betting site a shot. Here are the noteworthy features that will encourage poker players to prioritize this Bitcoin poker gambling venue instead. Nothing beats having several options for bettors to play poker with Bitcoin; thus, K8 Poker constantly updates and rolls out numerous tournaments and other ring games. Recently, it has launched a new set of tournaments that can be played on specific days only. Nevertheless, there are those held every day, which are mostly created for daily poker bettors. Moreover, there are freerolls played daily. What poker enthusiasts only need to do is to know the schedule of these tournaments and ring games to avoid missing any opportunity to have fun and to win. The key to success for any online gambling business is to attract as many bettors as possible. In this aspect, this betting site has already done a great job, because it manages to have players hailing from different regions of the world. Although the highest number of the poker players on this betting site has already peaked at more than a hundred, this poker betting site still has a long way to go before it gets considered to be a sure hit among avid poker bettors. 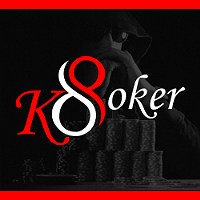 K8 Poker is powered by the Poker Maven software, so it can be expected to find the familiar design and performance of the said browser software. The graphics are above average and veer away from the heavy animations to ensure that the operation of every game is smooth and pleasurable. Through the site’s Raceback function, online poker players can receive at least 2% rakeback with a maximum of 40%, depending on their point and level in the Player Point program, which is composed of five levels. It is updated once a week and is acquired by getting the square root of the total rake paid by every player. Depositing and Withdrawing funds in this Bitcoin online gambling site is simple enough even for novice bettors. In order to add funds to the gaming account, bettors can either scan the QR code or manually copy and paste the wallet address of the betting site. Everyone should be advised, though, that the deposit process may take about five to 30 minutes because one confirmation is required. Also, 1 BTC is equivalent to 10,000 chips. There is no need to wait for several days before the cash outs are delivered because K8 Poker enables withdrawals in less than an hour. Just simply indicate the amount of chips that are desired to be withdrawn in order to transfer the funds from the gaming account into the bettor’s Bitcoin wallet. However, this may take about an hour up to 12 hours. Likewise, a minimum withdrawal amount of 500 chips must be met.